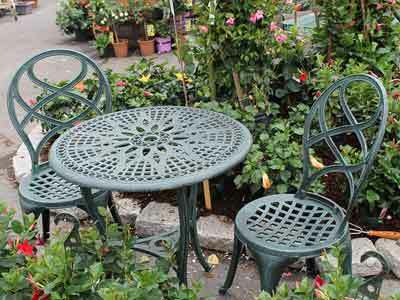 Our Garden Center carries a wide selection of Bistro sets of tables & chairs so you can sit and enjoy your beautiful garden. Styles and color selections vary. We also have some wonderful benches cast from metal or crafted from fine Eucalyptus wood to add that perfect seating touch to your garden. 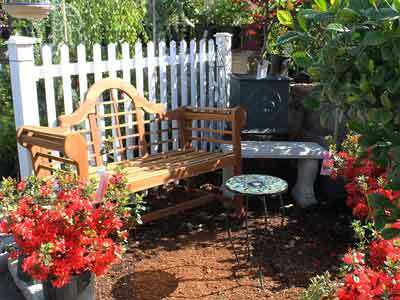 To help your climbing plants and vines, we carry many types of trellises constructed out of wood, metal, and PVC. 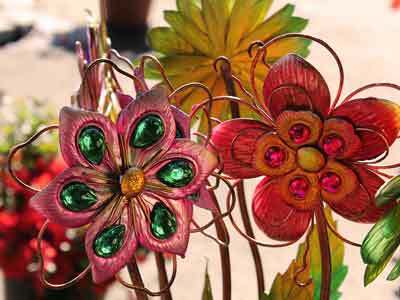 We also have plant supports in all shapes and sizes to give your plants that extra support they need. Help keep your feathered friends happy and coming to your garden by installing a bird bath (or two). 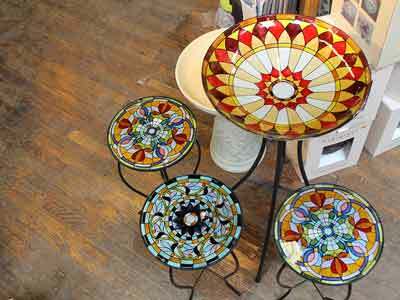 Our Garden Center has great variety of bird baths, from big to small, cast concrete to beautiful glass. Come by and see our tremendous selection today!